Do you have the desire to get away from the hustle and bustle of city life? Well, this home can become your escape from it all! 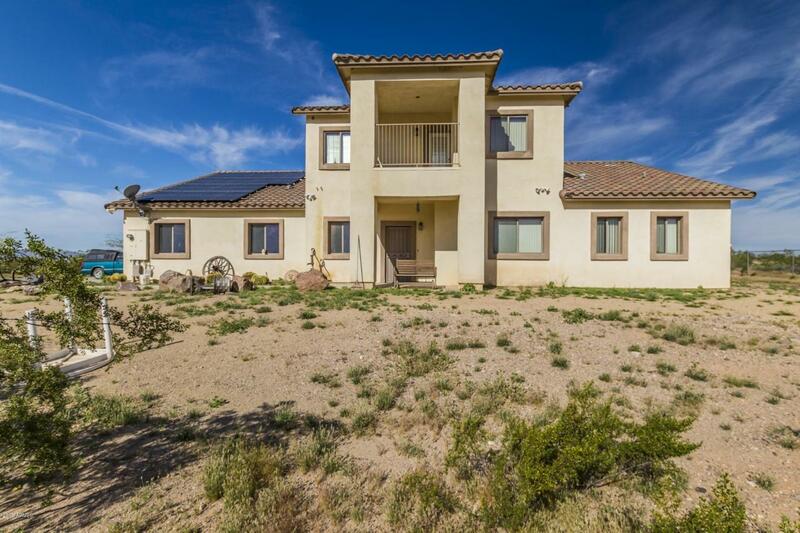 This stunning 2 story home is nestled in the amazing city of Surprise! Upon entering this home, you are greeted with gorgeous tile flooring, stone fireplace and 10' ceilings with a fire suppression system through out. The kitchen boasts warm wood cabinetry, plant shelving, dual sinks, breakfast bar, granite counter tops and SS/black appliances. The spacious bedrooms offer plenty of room for sleep, study and storage. The master bedrooms has it's very own private balcony! The master bathroom features a stand alone pedestal bathtub, walk in shower and granite counter tops! This home sits on 5 horse friendly acres and showcases panoramic mountain views. Cross Street N. 163rd Ave. And W. Dixileta Dr.